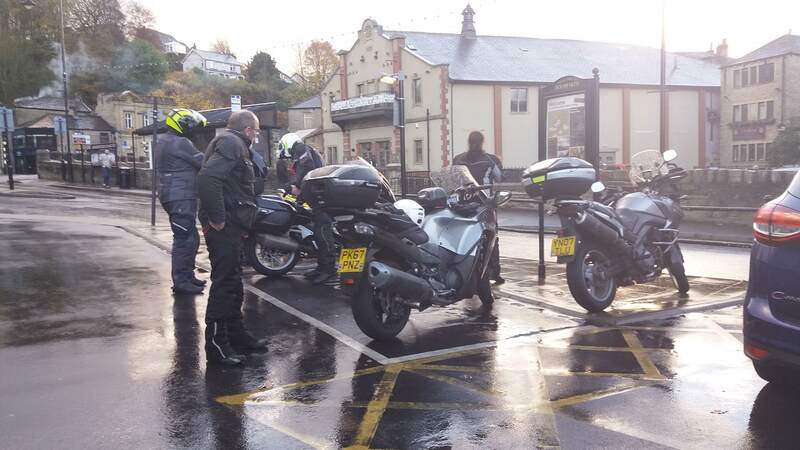 Chance to show those northern monkies that real bikers even go out when it's cold outside. Weather is predicted to be sunny! Looking at the Chichester area but am open to times and itinerary. Suggestions welcome. Who's up for it then? Whiteways usually has a good crowd of bikes. Maybe worth a visit. yeah got lovely route from whickham to whiteways over downs if interested. Simbo all great on sunshine coast topping up me tan. Plan is whickam square for 10:30 ride over south downs and eat at black rabbit PH Arundel. Any other non hibernators welcome. Should be able to join you. Away at the moment get back Friday. If all goes to plan will meet you all in Wickham square at 10:30. Nice one. Would have loved to have joined you guys and say hello, but I will be picking my RT up from Bahnstormers (Service) and then to Micheldever for a new set of tyres! Sorry guys change of plan will not be home in time. Enjoy the ride. Great ride out today. Thanks to Darren for leading us on a super ride to The Black Rabbit for lunch in Arundel. Kevin and I got our intercoms to pair up, so a chat throughout the ride made it even more enjoyable. 160 miles for me by the time I got home. Gave the bike a quick clean, ACF50 treatment and tucked it back in the garage.